Call 6233135339 today for more information! Kelley’s Desert Storm Cleaning is here to meet all the cleaning needs of the Scottsdale, AZ area. We provide window cleaning, carpet cleaning, and grout cleaning services for residential and commercial sites. Our mission is to provide you with the best cleaning at the lowest possible prices around. We strive to provide the best service possible so that you are satisfied with our cleaning services. Customer satisfaction is important to Kelley’s Desert Storm Cleaning, which is why we take pride and care in our work. A job well done results in a happy customer, and a happy customer is a customer we can build a lasting relationship with. We offer free consultations for all of our cleaning jobs, along with free price estimates, and you never pay more than the price we quote. Thorough window and carpet cleaning can result in harm to the environment, which is why Kelley’s Desert Storm Cleaning believes in doing what we can to minimize our environmental impact. We do not use harsh chemicals for our cleaning jobs. 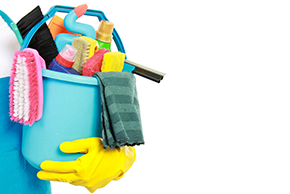 All of our cleaning materials are non-toxic, ensuring that we do not cause any undue harm to the environment. We offer both commercial and residential cleaning, and promise to get the job done in a timely fashion.Our expert cleaners are trained in stain removal, dust removal, and other cleaning techniques, guaranteeing that you get the best clean possible. If you have any questions about our process or our cleaning products, we are here to answer them. We want you well informed so you can rest assured that you made the right choice when you chose Kelley’s Desert Storm Cleaning. Call Kelley’s Desert Storm Cleaning today to make an appointment for all your cleaning needs, including carpets, windows, blinds, and grout. We are here to clean up your messes, so you can focus on other, more important things.